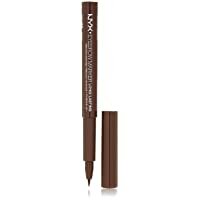 This product is a long-lasting eyebrow marker. Precision application tip creates thin, thick or natural looking brows. Does not smear on smudge. Available in medium and deep shades. It is made using finest ingrediants.